EU’s controversial Copyright Reform is only couple of months from becoming official EU law after the European Parliament and the Council agreed on the final text last night. Opponents of the finalized version are putting their hopes on a final vote in Parliament in March or April to repeal the contested Articles 11 and 13. The upload filters, which have also been dubbed censorship machines by its opponents, aren’t specifically mentioned in the reform, but commercial sites and apps which allow users to post content are obligated to make their “best efforts” to preemptively buy licenses that users may upload. A quotation would be legal and not a copyright infringement, #uploadFilters wouldn’t have to remove them. The problem is that filters can’t tell the difference between an infringement and a quote, all they see is that copyrighted content is being used. So they’d block it anyway. Reda adds in her article that if a court should ever find a platform’s licensing or filtering efforts not adequate, it would be directly liable for users’ copyright infringements as if the platform itself had committed them. “This massive threat will lead platforms to over-comply with these rules to stay on the safe side, further worsening the impact on our freedom of speech,” Reda wrote. 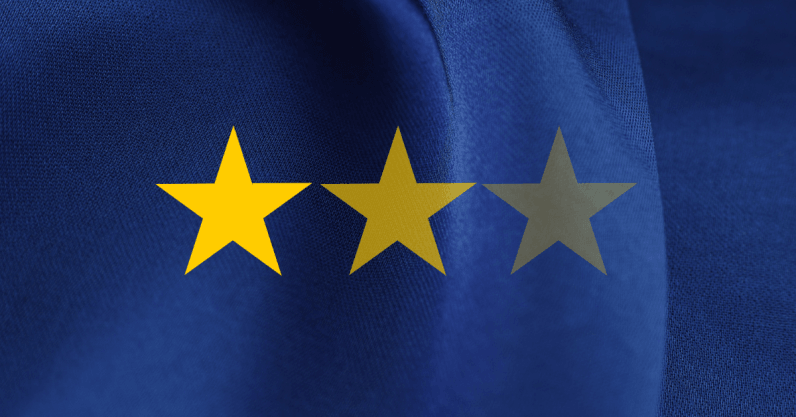 Most people agree with the directive’s sentiment, but the debate is over whether Articles 11 and 13 will actually have the stated effect, or have unintended and disastrous consequences. The final text of Article 11 — which has been the other major bone of contention — also ended up being pretty much what opponents had feared, limiting the ability for any service to show snippets with links. Google, which admittedly has skin in the game, said recently that traffic to news sites dropped 45 percent in its experiments with reduced snippets — which still showed publication title, URL, and video thumbnails. Parliament says Article 11 will allow hyperlinks to news articles to be accompanied by “individual words or very short extracts” without payments to rightsholders. “The ‘snippet’ can therefore continue to appear in a Google News newsfeeds, for example, or when an article is shared on Facebook, provided it is ‘very short,'” the Parliament’s statement reads. However, Reda questions what constitutes as “very short” and points out that similar legislation already failed in Germany. Copyright reform needs to benefit everyone – including European creators and consumers, small publishers and platforms. We’ll be studying the final text of the EU copyright directive and it will take some time to determine next steps. The final text of the Copyright Reform will now have to be approved by the Legal Affairs Committee, then voted on by member state governments in the European Council — but it’ll likely be passed there. That’s why Reda and other opponents believe the best is a final vote in Parliament, where all 751 MEPs who represent EU citizens will weigh in. It’ll likely take place at the end of March or first half of April and Reda believes it’ll be possible to get a majority against the controversial proposal. If you’re an EU citizen and care about this issue, you can reach out to your representatives in Parliament and make your voice heard.